Ensure faster shopping by allowing customers to add to cart via pop-up. 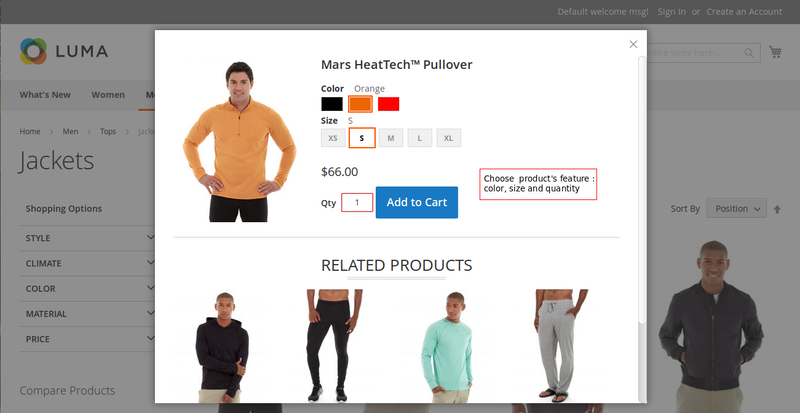 Customers can select product options in pop-up without going to product page. You can enable/disable the module in home page. You can show/hide related/up-sell/cross-sell products in product options pop-up. 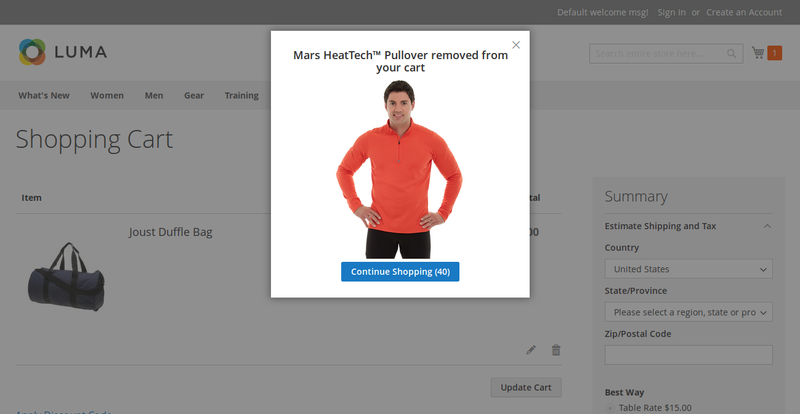 You can show/hide product image in add to cart confirmation dialog box. You can change the image of ajax load indicator. You can choose the time-period for confirmation dialog box display. The extension works for all product types including bundle, grouped, and configurable products. It works with custom options types of Product: Text field, Text area, Dropdown, Radio buttons, Checkbox and Multiselect. This is the perfect way to enable customers to shop more and increase your revenue! The extension allows buyers to add products to the shopping cart from any page without having to go to the specific product detail page. 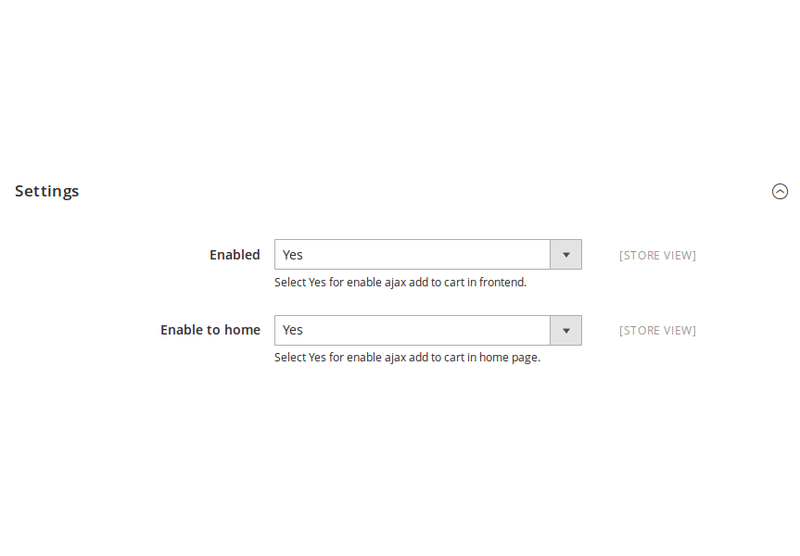 They can select product options via Ajax cart pop-up and avoid wasting time on annoying page reloads. Once you install the extension, customers can add product from pages including home page, category page, product page, search result page, wish-list page, compare products page, etc. Whenever customers click on "Add to Cart", even on the product list or in the popup, there are absolutely no annoying page reloads. 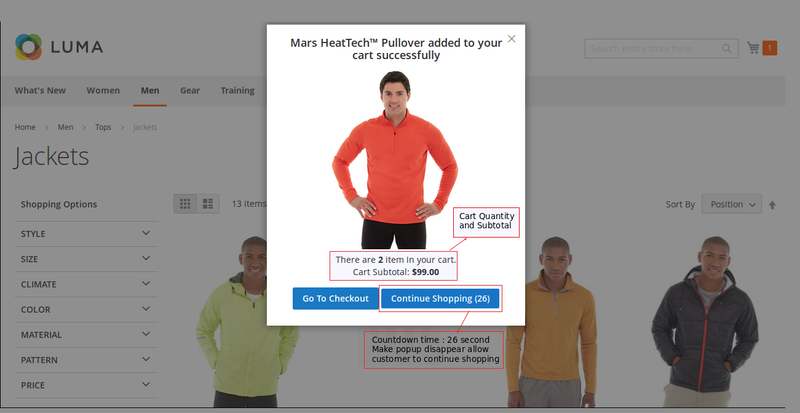 Once the product's characteristics and quantity have been selected by the customer, clicking on "Add to Cart" will lead to another pop-up to confirm the cart. From beginning to end, no time is wasted in reloading the pages. 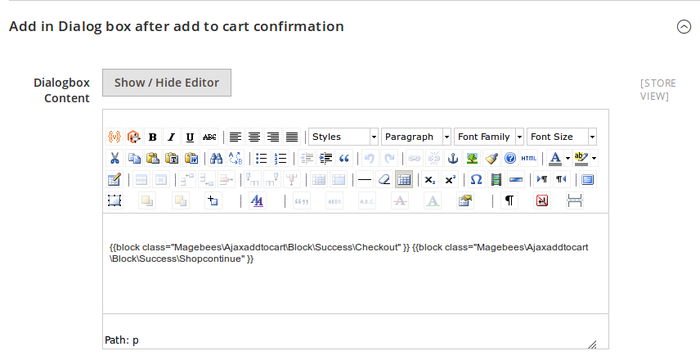 Magento 2 Ajax Add to Cart Pro Extension is quite flexible. It can be applied for different types of products such as simple, bundled, grouped, and configurable ones. The customers are able to choose the product's feature that they want to buy directly in the popup. They can select colors, sizes, quantity and other features relevant to your site. 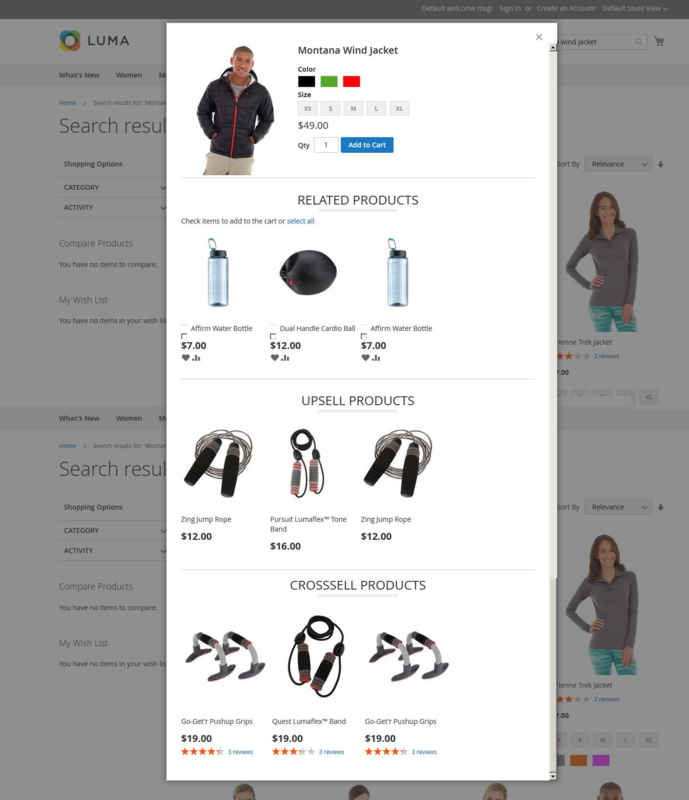 Display product image, name, total items in the shopping cart and cart sub-total with the help of the extension. The admin can easily manage the countdown time for the "Continue Shopping" button which proceeds to turn off the pop-up and allows customers to continue shopping on the page. Alternatively, customers have the option of choosing "Go to Checkout" button which directs customers straight to the shopping cart page. 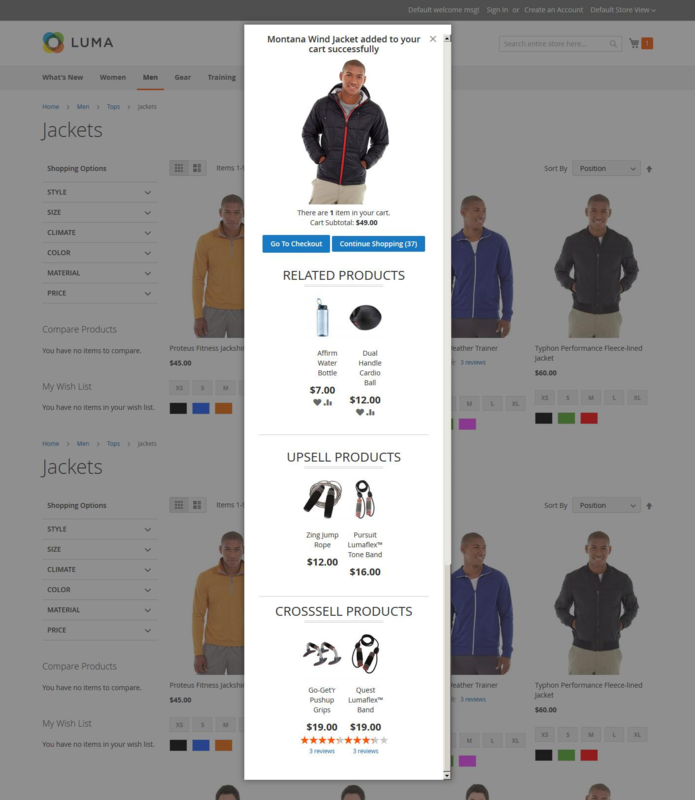 With Ajax Add to Cart Pro extension, customers only have to add products to the cart via pop-up. And, the total price and quantity in the mini-cart will be updated automatically. The Magento 2 module will allow customers to remove products from the shopping cart without reloading the whole page and it will update the shopping cart details quickly. 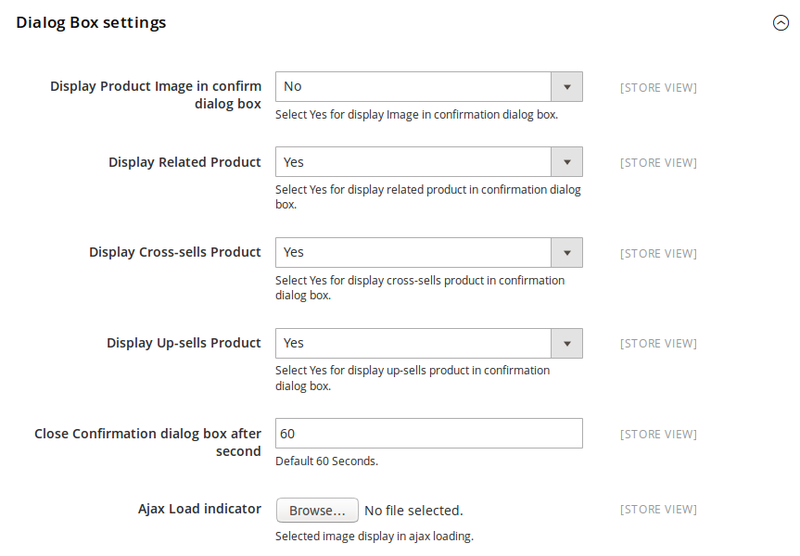 Ajax Add to Cart Pro Extension is very flexible for configuration. There are lot of options in the admin section such as show/hide related/up-sell/cross-sell products. And, the admin can manage product image, change ajax loader image, manage content after adding/removing product from shopping cart, set timer for confirmation popup, etc. The cart pop-up makes it easy for customers to shop. 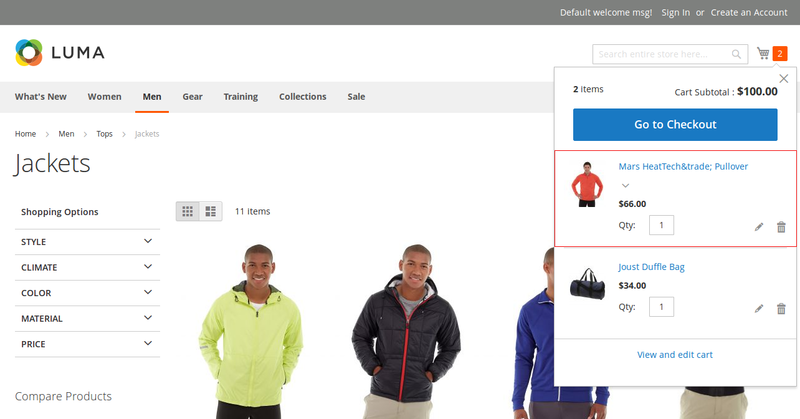 They can quickly add products to the cart without the annoying page reloads. It streamlines the entire shopping experience and has definitely improved the total sales. Good job MageBees. It has really improved the functionality of my website. I have a store where we sell apparel for men and women. When you have a store such as mine, you have to deal with several products. I needed an "Add to Cart" button that didn't lead my customers to the product page. Instead, they should be able to add products to the cart directly from the list page. And this is exactly what the Ajax Add to Cart Pro extension does for my website. With a simple yet very effective pop-up, customers can shop quickly which means there is a considerable increase in the business. Its make our store order process quickly and smooth. Provide nice features and happy to use it. 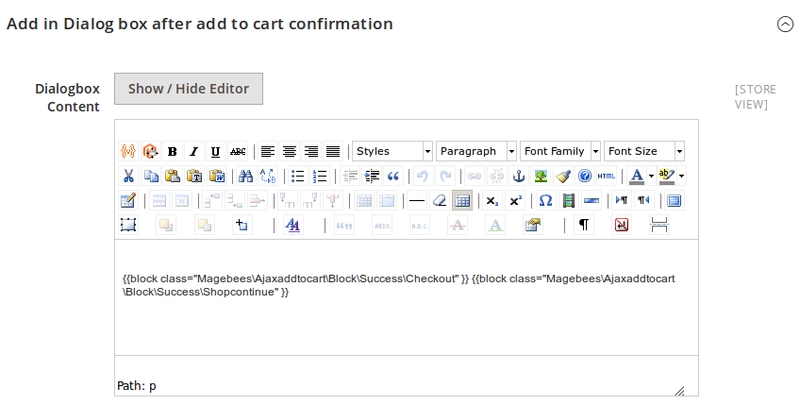 Purchased this magento extension and was really happy with it. Now customers can place quick order on my store. Great extension, does exactly what we need.Works perfect on our shop. It's a simple well functioning extension without problems. 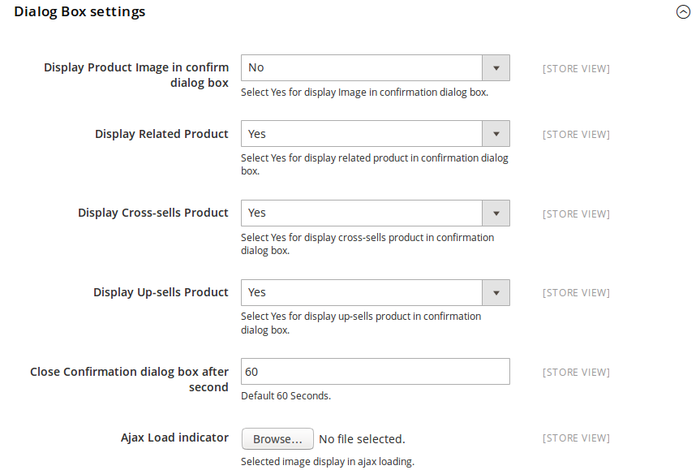 => Make Compatible With Magento 2.3. .
=> Display Related,Upsell and Cross sell products in confirmation popup after product add to cart . 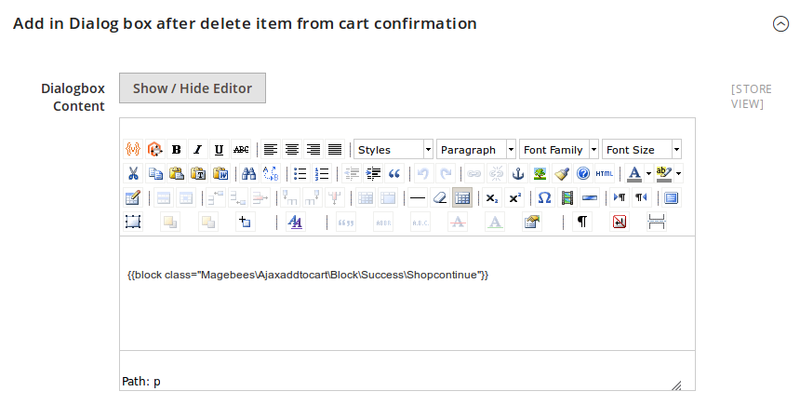 => Fix issue for timer count when close the ajax add to cart content popup. => Display Cross sell products only in associate product's add to cart Popup. => Update cart page when add to cart cross sell products from cart page. 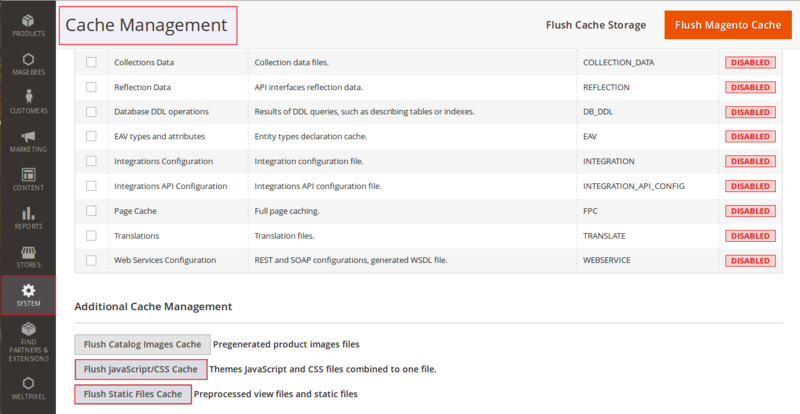 => Fix issue for update cart total when cart page update after add/remove product from cart. => Fix Bundle Product Issue..
Q-1: I have tried to install Ajax Add to Cart Pro extension using terminal, but I am not able to install it using command line, what are steps for custom installation of the extension? Ans : Please contact us for installing our module in your store. Q-2: I am getting error in console for “ajaxToCart.js not found”. How to solve the problem? Ans :Go to Admin -> System -> Cache Management. You can see following screen.